His profile will now continue to grow with Democrats taking over the majority, thrusting him to the chairmanship of the Intelligence Committee. The New Yorker on Thursday wrote that Schiff will now become special counsel Robert Mueller's "new wingman on Capitol Hill." 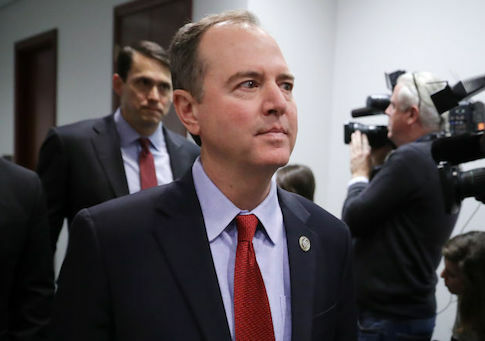 Schiff's office did not respond to inquiries into what he will share with the Democracy Alliance during the closed door session and whether anything regarding the Russia investigation was out of bounds. The Democracy Alliance conference is attended by both wealthy liberal donors and representatives of liberal groups hoping to be on the receiving end of their money. 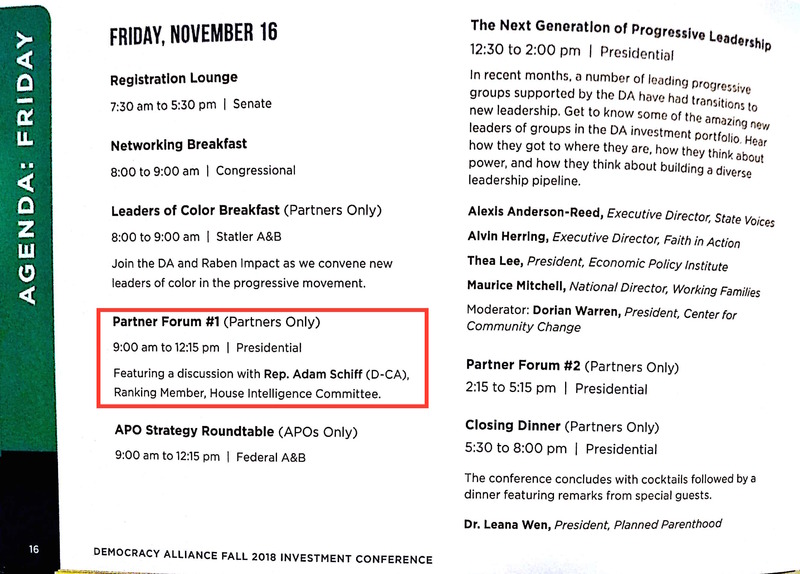 Only the donors are invited to attend the three-hour Friday morning session with Schiff. Known partners of the Democracy Alliance include high profile liberal financiers such as George Soros and Tom Steyer, but it is unknown whether either will be in attendance. The exact number of partners and their identities are kept secret by the group. All "programming at the conference is off the record," according to the agenda. Attendees are told to "respect the privacy of others in attendance and not share individuals' names or details of the conference." This entry was posted in Politics and tagged Adam Schiff, Democracy Alliance, Democratic Donors. Bookmark the permalink.